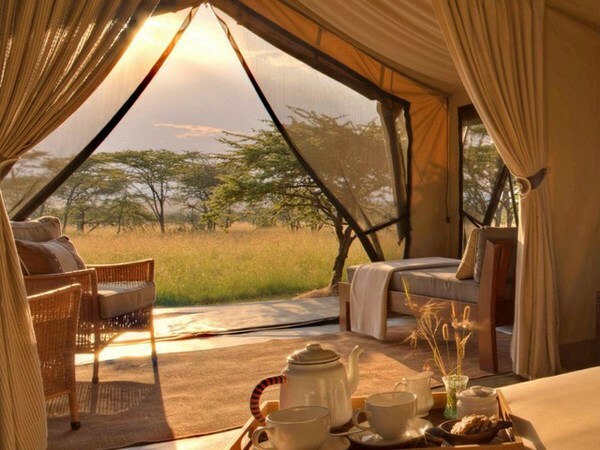 Set within acacia woodland surrounded by rolling savanna, Naboisho Camp marries luxury with low-impact, traditional canvas tents and classic safari ambience. 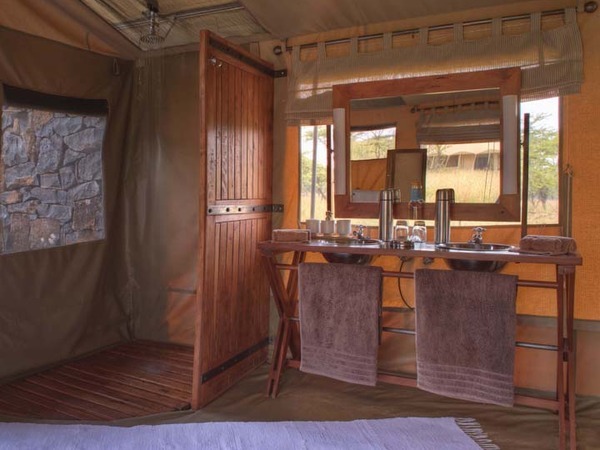 Set within the private Mara Naboisho Conservancy, a wildlife-rich corridor along the edge of the Maasai Mara Game Reserve, Naboisho Camp's guests enjoy an exclusive, uncrowded location just outside the park. Predators such as lion and cheetah roam the savanna, stalking resident antelope, while zebra and giraffe seek to elude the stealthy cats as they graze. 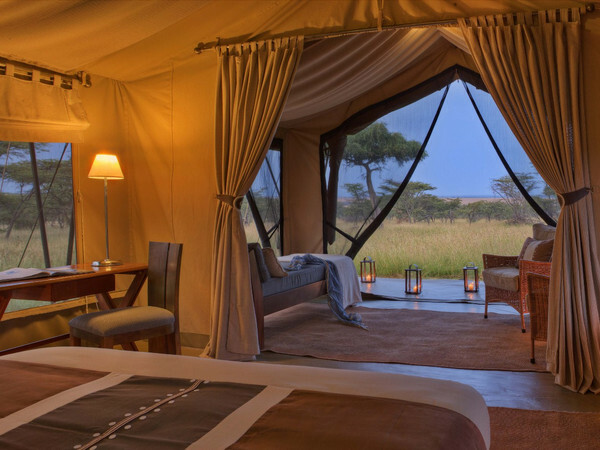 Naboisho's combination of comfort—even luxury—and a traditional, canvas-tented safari experience mixes the best of adventure and indulgence while promoting conservation and sustainable tourism practices. 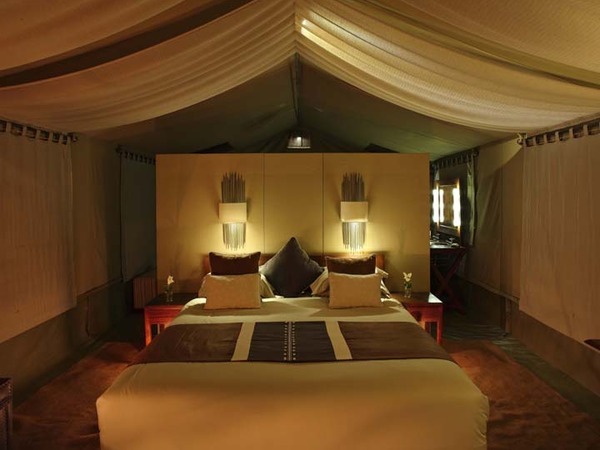 The size of the camp is just perfect for couples, groups or even solo travelers. 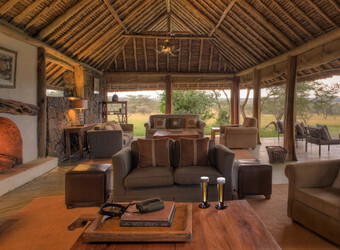 Naboisho Camp offers a quintessentially intimate safari experience. 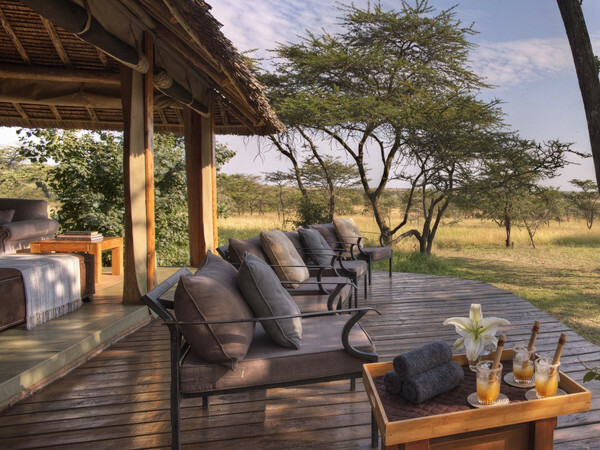 Eight traditional Meru-style tented suites offer plenty of comfort while retaining a gentle footprint on the landscape. 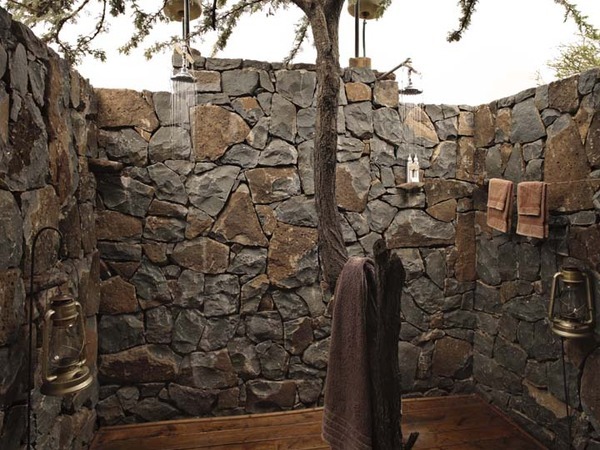 Each has an en suite bathroom with indoor safari shower, with canvas flaps that open to an outdoor safari shower surrounded by local stone. Inside is a king-size bed within classic, canvas-enclosed surroundings, plus a daybed on the veranda. Two family tents with additional bedding allow children to share with parents. 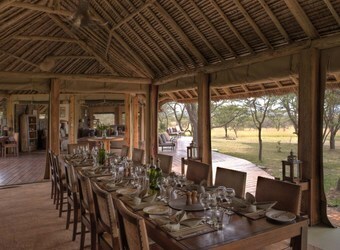 The main lounge and dining area are protected beneath a high-pitched, thatched roof and provide a comfortable space to gather before and after wildlife drives and meals. A broad deck overlooks the savanna, offering inviting sofas and chairs, a large stone fireplace to enjoy in the evenings, and a long communal dining table. 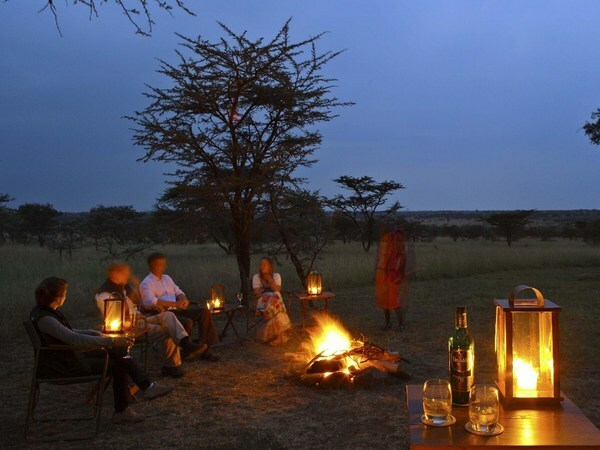 The 50,000-acre Mara Naboisho Conservancy, from which the camp takes its name, is one of the most game-rich private conservancies bordering the Maasai Mara National Reserve. Strong lion populations are found within Mara Naboisho, and it shares a completely unfenced border with the Maasai Mara, allowing wildebeest, zebra, buffalo, rhino, cheetah and other large mammals to move freely. Early morning and late afternoon wildlife drives showcase the mammal and bird diversity in this acacia woodland and savanna habitat, and because it is located within a private conservancy, night drives, guided bush walks and cultural opportunities are also allowed and encouraged. 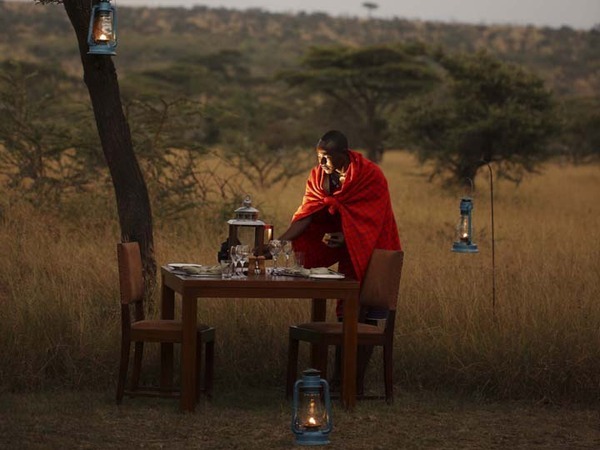 Bush breakfasts and optional activities such as fly camping immerse guests in an intimate encounter with nature. Between July and October one can experience the thundering presence of the great wildebeest migration moving through the area as the herds seek fresh grass. The Maasai Mara is home to an abundance of resident wildlife year-round. The great migration of nearly two million wildebeest and zebra is at its peak between late July and early October, while the local Loita wildebeest migration typically arrives in June. Other typical sightings may include a number of antelopes, endemic birds and reptiles. Exact sightings will depend on rain patterns and wildlife movements. Naboisho Camp is actively involved in a number of conservation initiatives ongoing within the conservancy. 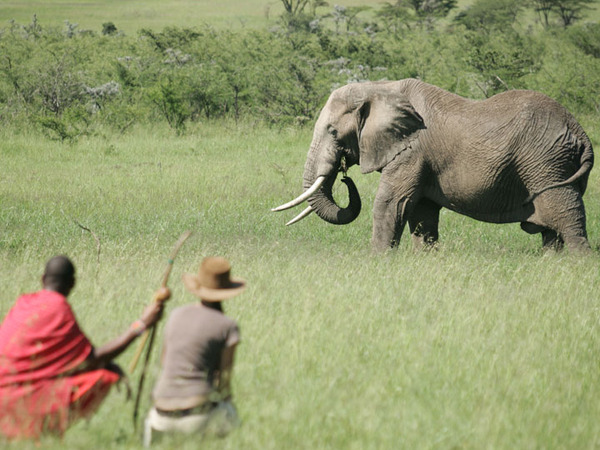 The formation of the Mara Naboisho Conservancy involved 500 Maasai landowners contributing their communal lands to wilderness and wildlife preservation. 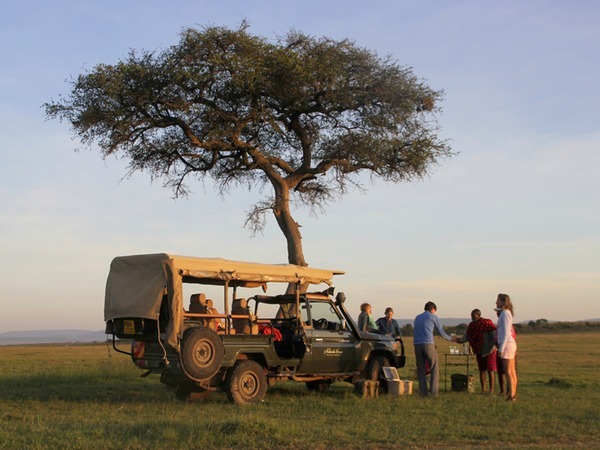 Conservancy fees paid by guests provide a sustainable income for the landowners while ensuring the long-term survival of a vital wildlife corridor of the Mara ecosystem. 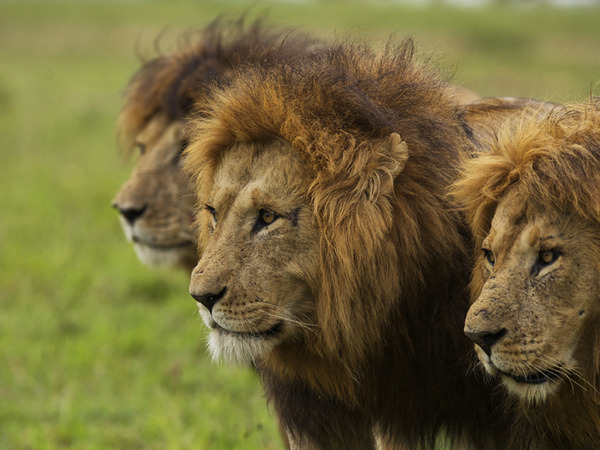 Naboisho Camp is also deeply involved in the Mara Lion Project, which is establishing lion populations and identifying and mitigating threats to these animals. All guides at Naboisho Camp graduated from the Koiyaki Guiding School, which trains more than 20 local Maasai annually as safari guides. The camp proudly employs one of the first female graduates of the school. Enabling the local people to benefit from their tribal lands secures the promise of a sustainable and bright future for conservation and community within the Maasai Mara ecosystem. When did you visit Naboisho Camp?